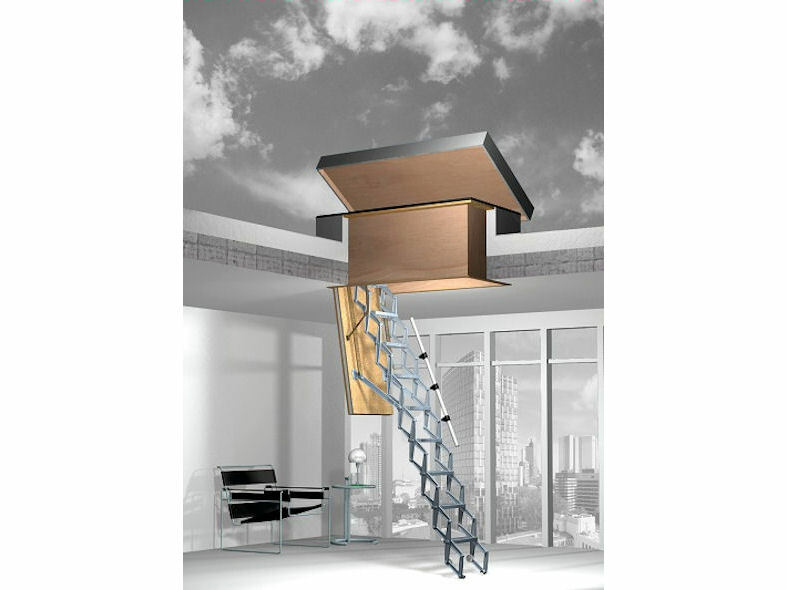 Premier Loft Ladders Supreme is an aluminium concertina folding loft ladder with wooden hatchbox and trapdoor. 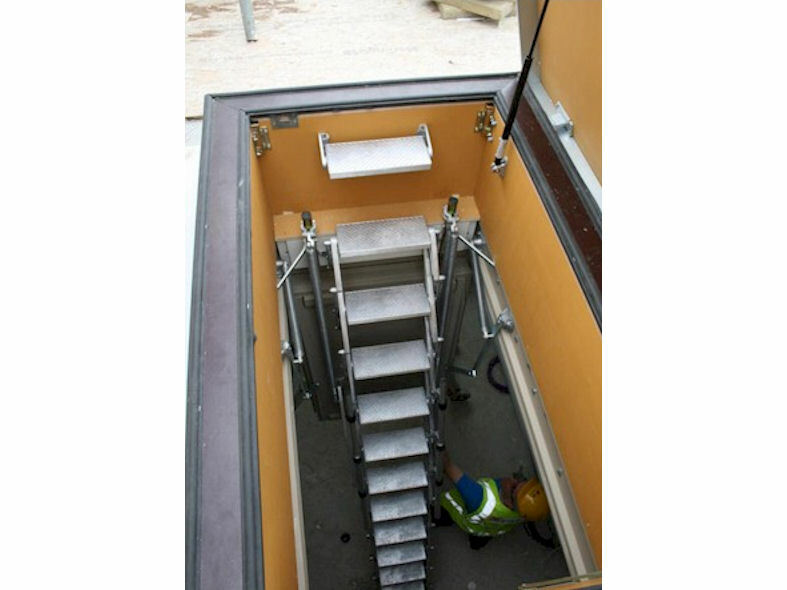 It is supplied as a ready to fit unit comprising of a counter balance sprung aluminium alloy stairway manufactured from high strength die-cast aluminium alloy components contained within, and attached to, a laminated wood trapdoor and lining. Supreme and the Supreme with weatherproof roof hatch - we are pleased to offer (as an optional accessory) the trapdoor finished with a 1.5 mm veneer (to the underside and edges) in Spruce, Beech, Maple, Ash, Carolina Pine or Oak. 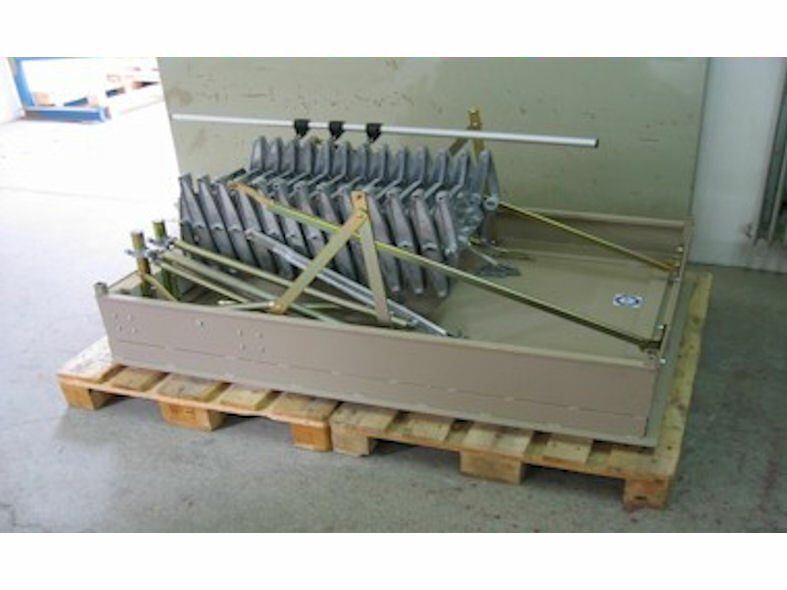 This is available for both the insulated and non insulated trapdoors. 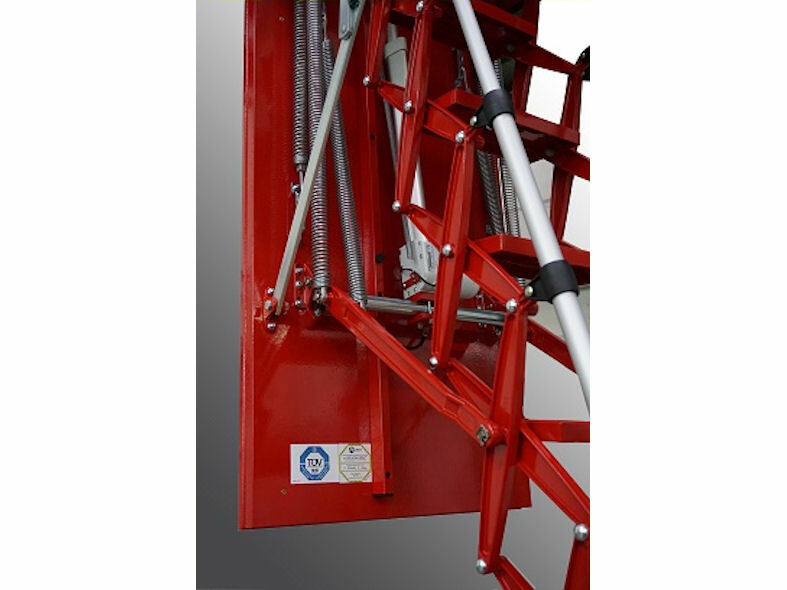 Special features include the counter-balance spring for easy operation and non-slip treads. The Supreme is a strong, beautifully crafted stairway offering low maintenance with excellent durability. Options can include electrical operation, a weatherproof roof hatch, 30 or 90 minute fire resistant casings, vertical access, suspended ceiling application, top operating mechanism, insulated trapdoor, telescopic handrail, upper level guardrail. 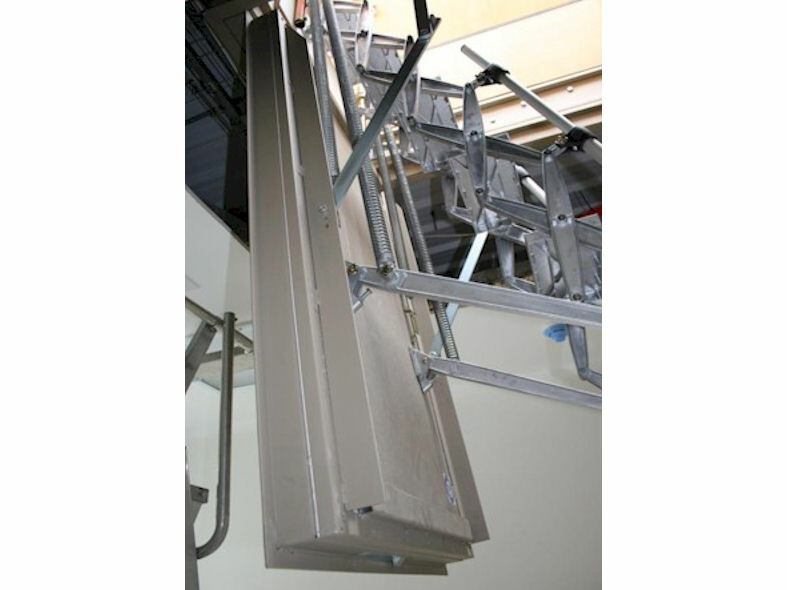 The Supreme stairway can also be used for access in vertical walls and is also suitable for use with suspended ceilings. This new product with energy conservation in mind has an insulated 62 mm thick sandwich trapdoor which is white coated to the underside. The insulation U-value is 0,55 W/ m2K. The trapdoor is also airtight to EN 14975 (DN 4570) Class 4 and the hatchbox has a rubber seal all the way around. White coated mitre cut strips are provided ready to be pinned on the underside of the hatchbox. 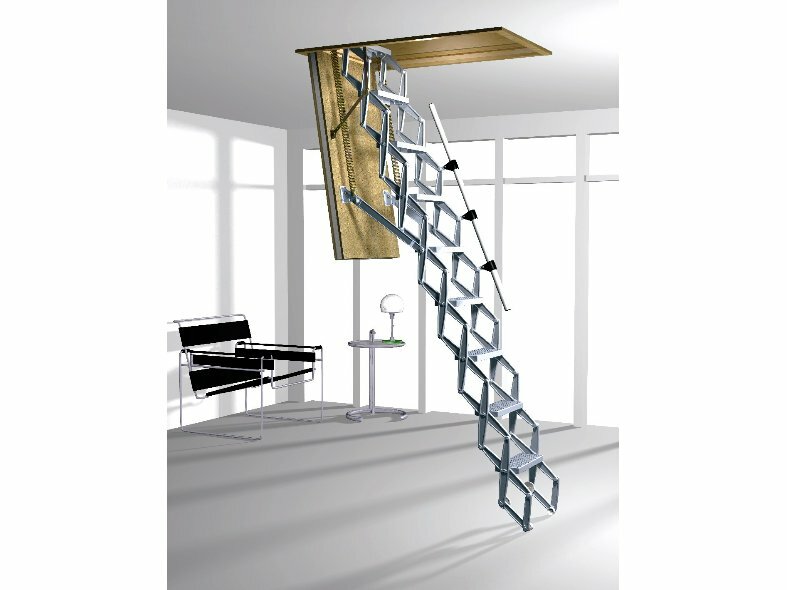 The Supreme stairway can also be used for access in vertical walls. The maximum operating height for the Supreme with vertical access is 3390 mm. The electrically operated stairway runs on 24V DC and is fully supplied with wiring, stand-by battery, transformer and operating switch. It is also possible to fit a further switch thereby allowing operation from above. 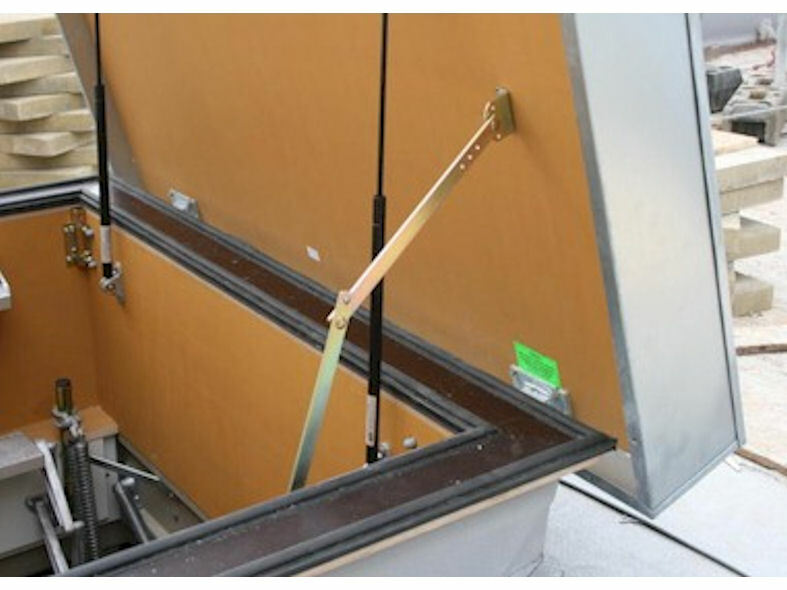 A fully weatherproof hatch suitable for roof access is available. b) the steel hatchbox and trapdoor with either a 30 or 90 minute fire resistance. The Supreme is suitable for use with suspended ceilings. When installing a deep hatchbox within a void e.g. an area between a suspended ceiling and the main ceiling, then we would recommend the use of bracing from the main ceiling to the outside of the hatchbox to add stability.